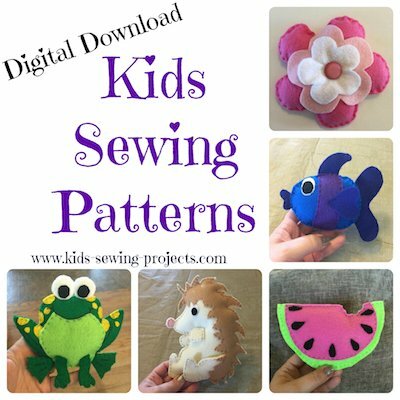 Preschool sewing activities can help young kids learn fine motor skills and start learning about sewing. 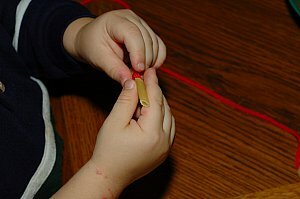 In the pre-beginner stage, kids would love to get their hands on a needle and thread. They would also love to sew like a grown up, but they aren't quite old enough for this, yet. However, that doesn't mean they can't get involved in sewing activities. 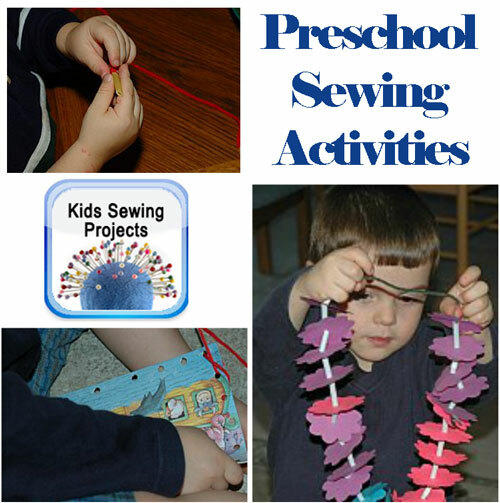 We have some of our favorite sewing activities and ideas for preschool age kids listed here. 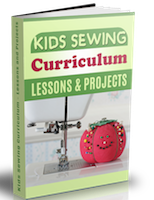 This is a great kids sewing craft because it teaches them about threading without using a needle. This sewing activity works best using noodles or O shaped cereal. Cut a strip of yarn or string long enough for a necklace or bracelet. Add tape around one end of the yarn to make for easier threading. 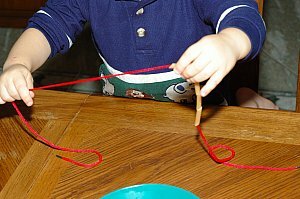 Let kids thread noodles or cereal in whichever fashion they want to make their jewelry. 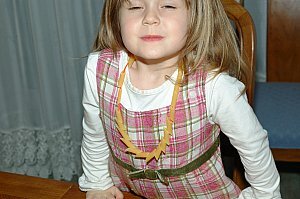 The cereal necklaces are also good for a quick, fun snack. After you have cut your yarn, dip one end in white school glue and let it dry. Makes a nice stiff end on your yarn, with no need to tape the ends! Cut a pipe cleaner in half and firmly twist one end around the end of your yarn or string. This works great and is super safe for little ones. 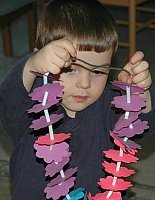 If you are stringing up macaroni necklace, just use the attached pipe cleaner can become the clasp to close it up. Childrens sewing cards can be easily made by printing off a picture, laminating it, cutting it out and punching holes around the edges. You can use these cards with shoelaces, a long string of yarn with tape around the ends, or you can purchase a long plastic needle to use with the yarn. These needles are not sharp and can be used to practice threading and sewing through the holes. Print off these sewing cards on heavy cardstock paper and laminate. Punch holes along the edges and use different colored yarn or shoelaces. 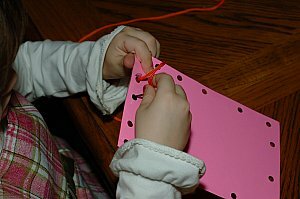 Demonstrate to your preschooler how to thread the yarn or string in and out of the holes. Then let them practice as much as they would like. 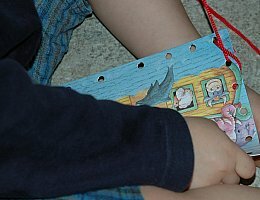 Sewing helps preschoolers develop their fine motor skills. 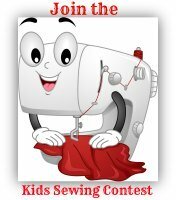 Save your used Christmas or birthday cards and use for kids sewing cards. 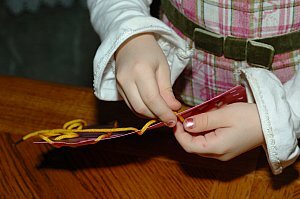 Punch holes along the edges of your card and thread a long piece of yarn or shoelace in one corner. Tie a knot at the end so the string will stay attached. 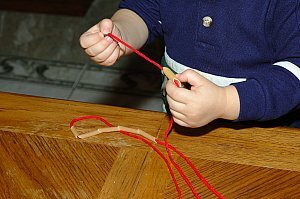 You can have preschoolers use a blunt needle to sew or if using yarn, tape the end of your yarn. Punch holes in the middle of your shapes. 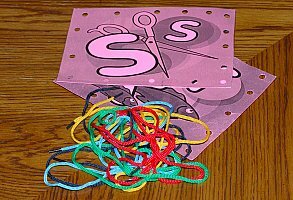 Have preschoolers sew a pattern with their shapes and straws on to the piece of yarn. Kids love this because they can use their own imagination and design if you give them a variety of shapes and colors to choose from. ~Jump down to our reader's submitted preschool projects. To make a counting booklet, cut out felt numbers and one big felt number line and you can count in 2's 3's 4's and even 5's. I use a magic marker and draw letters or numbers onto burlap fabric. I give children plastic sewing needles or blunt plastic canvas sewing needles and teach the up, down; up, down; pattern to sew over the lines to create letters or numbers. They could produce their name, athletic number or simply practice their numbers or letters. Finish product can have edges frayed to create a wall hanging. To project index from Preschool Sewing Activities.